Before I get into my experience with Trigger Point Dry Needling (TDN), let me explain my knee pain diagnosis. I have been going to Dr. Lemmons who prefers to go by Brett. He practices up-to-date physical therapy at Results Physiology. His desire to study medicine started as child who was oftentimes injured from playing soccer. The first visit was a series of tests to determine where the exact pain originated. 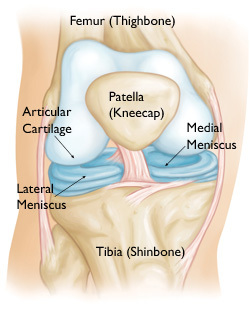 My left meniscus has been taking a beating. Thankfully, my cartilage is not torn or ripped. Measured flexibility is more than average which makes me more prone to injury. I am cleared to run up to a mile on days I do not feel any pain. I did a very light jog for a quarter mile which didn’t cause any soreness. Currently, swimming and walking are my preferred exercises. Brett also has me working on tightening my core and strengthening my ankles. He was surprised that my core was not stronger based on all the running I was doing. It takes commitment and time to complete all my P.T. exercises at least twice a day. I have flexing exercises I do with bands and cords. I can feel a difference after two weeks. The most noticeable feeling came from the Trigger Point Dry Needling. Brett used an acupuncture needle to get all the trigger points along my left leg. The first couple of sticks didn’t bother me. After a few minutes, my palms got sweaty and I felt light headed. I could feel the trigger points being released which meant the TDN was working. The calf muscle was not that bad as far as feeling pain. When Brett got to the inner thigh it felt very uncomfortable to feel the adductors contract. I had to turn on my stomach to get the trigger points on the posterior leg muscles. At that point, the adrenaline rush subsided and I was able to cope with the discomfort. It wasn’t an “ouch” pain. It was more like a nagging feeling of getting a tattoo, maybe worse. The assistant wrapped my legs in heating pads which provided so much soothing. I could have stayed there until it was time for me to go to work the next day. Instead, I had to drink plenty of water and take a hot bath. I drove home with the heated seats on high in 95° temps. The sensation I have reminds me of a charlie horse. I have a small bruise on my inner thigh, which isn’t bad considering how many times I was needled. According to the after treatment plan, the soreness should go away with in 24-48 hours. Overall, I am thoroughly satisfied with the therapy I am receiving from Results Physiotherapy. I’ve read about runners getting acupuncture, but I haven’t followed any blogs which mentioned TDN as a method of injury recovery. I have learned so much about my body over the last couple of weeks. I will continue to take my time and do what it takes to get back on the road! This entry was posted in fitness, half marathon, Louisville, marathon, running and tagged Trigger point dry needling. Bookmark the permalink. You’re a champ! I’ve done acupuncture before (and I love it) but I’ve never done anything like that! I hope TDN keeps working for you! So far so good! Thanks Jason! Glad you are getting results. I keep hoping for a painless morning. Hasn’t happened yet! Yes. So much more than lacing up and heading out. I will run and train smarter from now on. I have learned a lot from this entire process. Funny how injuries can lead to life lessons, yes? I learn not too train to fast, too hard, too much. There is more to running than just running. And if you push your body to the brink…it will break on you. I hope we get to hit the pavement together soon. My foot is still…UGH. It’s getting there…but, not pain free and not where I want it. For someone who doesn’t have a stress fracture…just inflammation…it’s been 2 months…shouldn’t this be better? Two months does seem long. You may want to ask your Dr about TDN. I’ve heard great reviews from co-workers and my brother who was hurt in motorcycle accident. At least you are still staying active with the swim, spin and weights. Don’t worry. Your talent for distance running is not going anywhere. If you DNS NYC, maybe you can rethink how you want to perform in Boston and make that the race to hit your goal. What better place than being surrounded by all those elites. I have my eyes on Mercedes Benz! Jacksonville would be pushing it. The only sucky part is training in the cold and less sunlight. Time will tell.